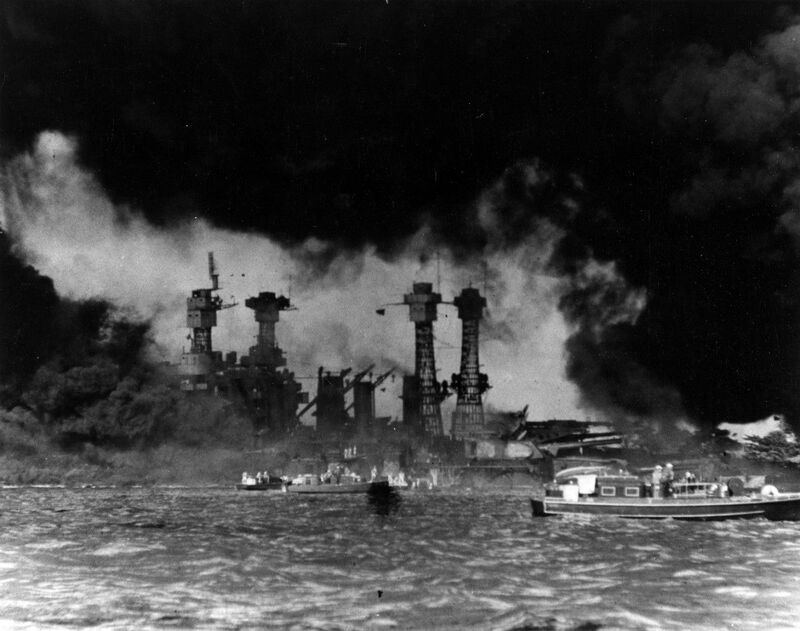 December 7, 1941, at 7:48 a.m. local time, 353 Imperial Japanese aircrafts bombed eight U.S. Navy ships docked at Pearl Harbor in Hawaii. Some 2,403 Americans were killed, 1,178 more were wounded and 960 were declared missing. As an event, it ignited U.S. involvement in the ongoing Second World War. 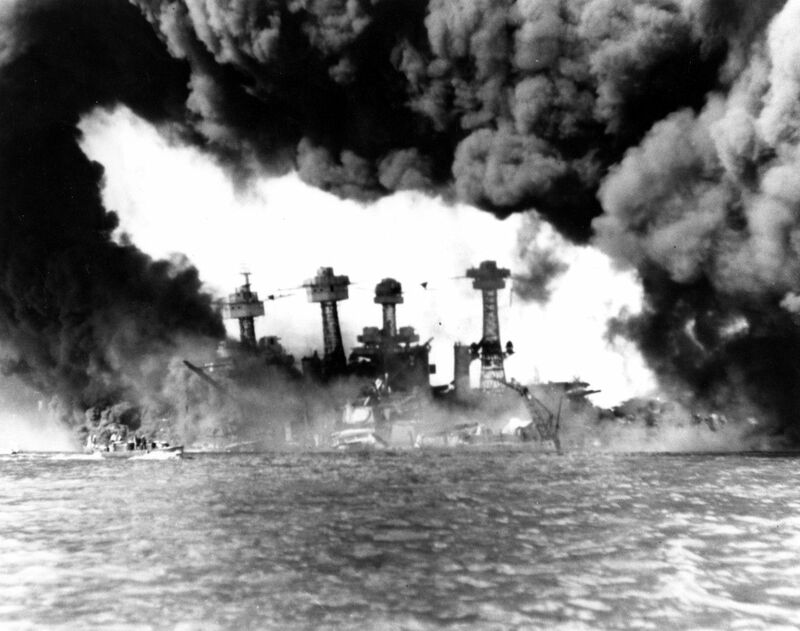 Every year since, Americans from Washington, D.C. to Hawaii have honored those that died and remember the day that will “live in infamy," to quote then-President Franklin Roosevelt. The attack was a surprise. Many U.S. servicemen were still in their pajamas or eating breakfast when the bombing started. 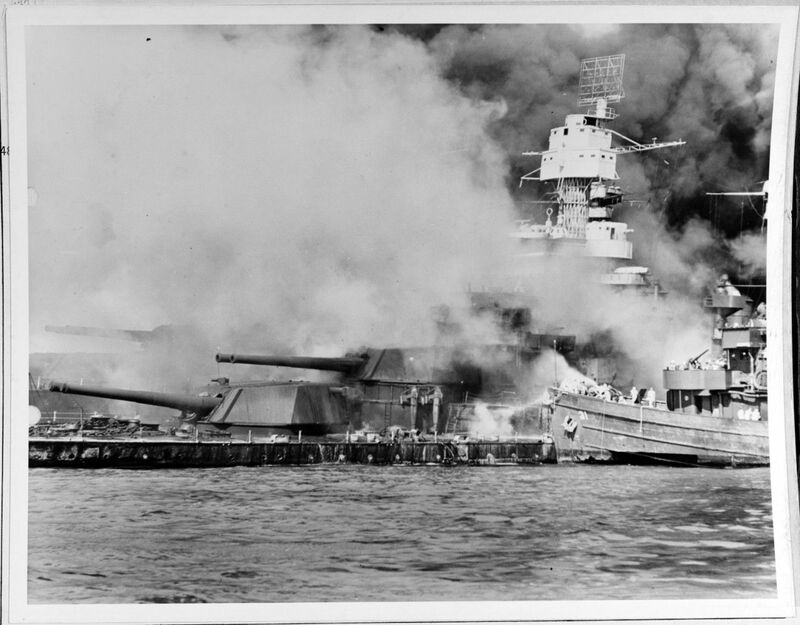 All eight ships lined up on what was called "Battleship Row" were critically damaged or destroyed altogether. The USS Arizona exploded after a bomb hit its forward magazine (ammunition room), killing all 1,100 servicemen on board. Eleven other ships were sunk over the course of the attack and 188 planes destroyed. In addition to Pearl Harbor, Japan also attacked U.S.-held bases in the Philippines, Guam and Wake Island over a seven-hour period. Because there never was a formal declaration of war from Japan, the country was later charged with war crimes during the Tokyo Trial in 1946. 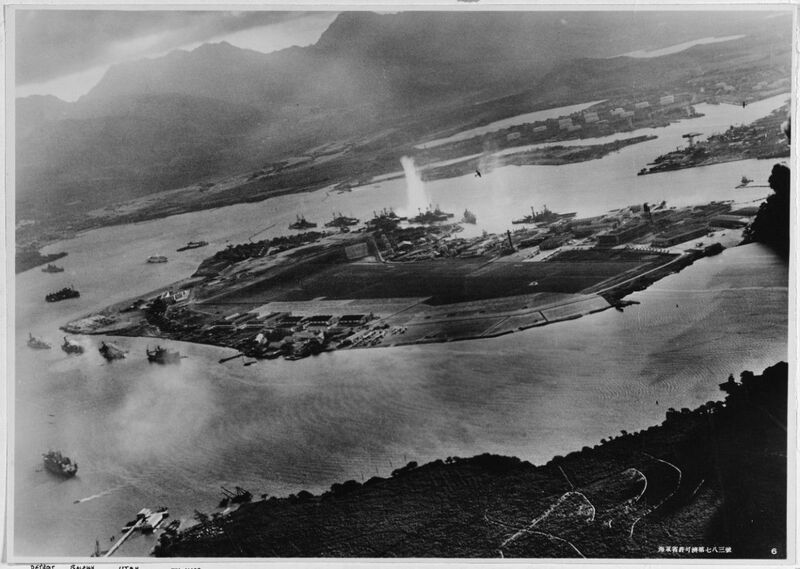 In 1962 the USS Arizona Memorial opened on the site where the battleship exploded. It is visited by more than 2 million people annually. The sunken remains were officially declared a National Landmark in 1989. Below are some of the most iconic photos taken on the day of the attack. They are provided by the Library of Congress, National Archives and the U.S. Navy archives. These photos provide an intimate look at one of the worst attacks the U.S. has ever seen, and make it clear why we remember all the U.S. servicemen who lost their lives every National Pearl Harbor Remembrance Day. 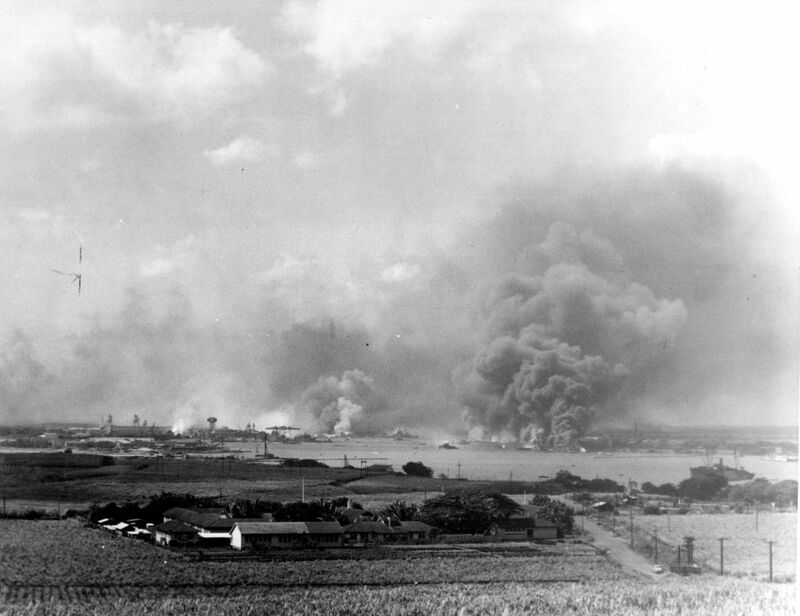 View looking toward the Pearl Harbor Navy Yard from the Aiea area, in the morning of 7 December 1941, during or soon after the end of the Japanese air raid. 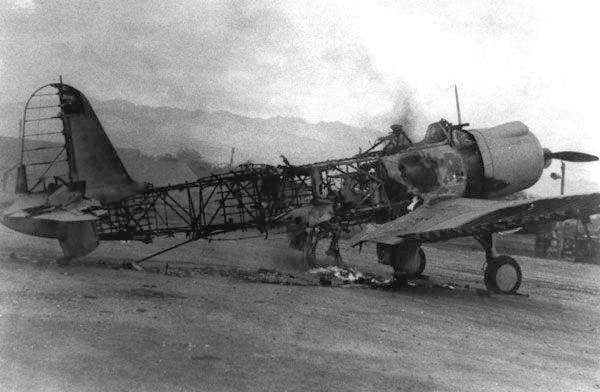 One of the seven Vought SB2U-3 Vindicators destroyed on the field at Ewa during the attack on Pearl Harbor. 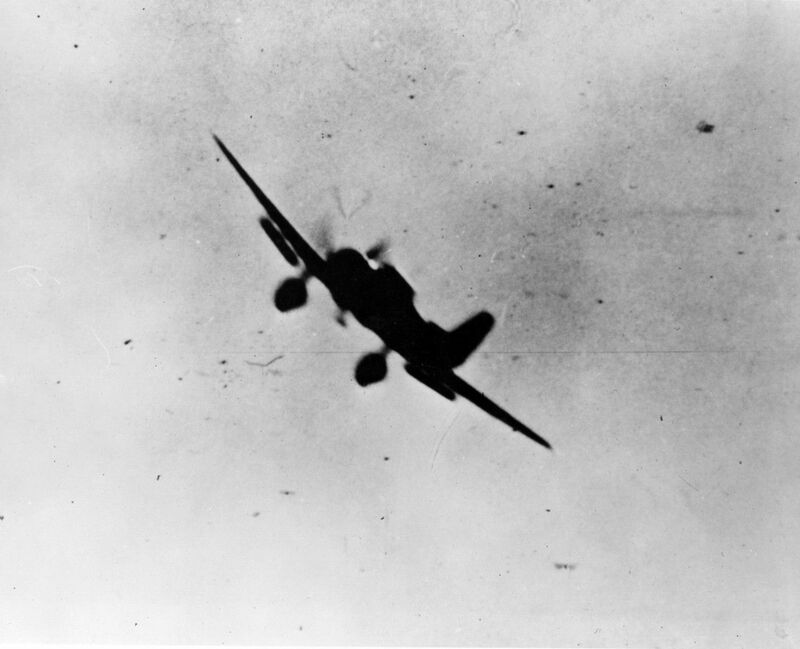 Japanese Navy Type 99 Carrier Bomber (Val) in action during the attack. 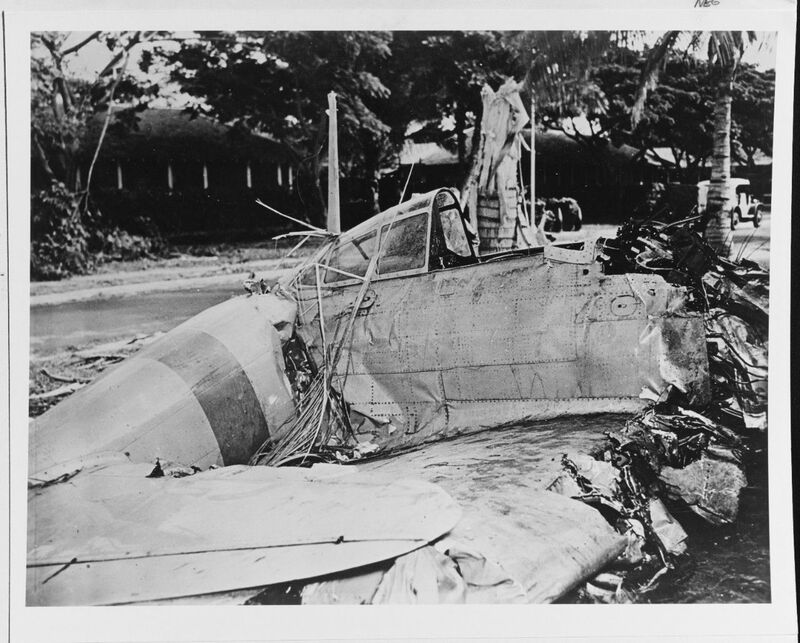 Japanese Type 00 Carrier Fighter (Zero) that crashed at Fort Kamehameha, near Pearl Harbor, during the attack. 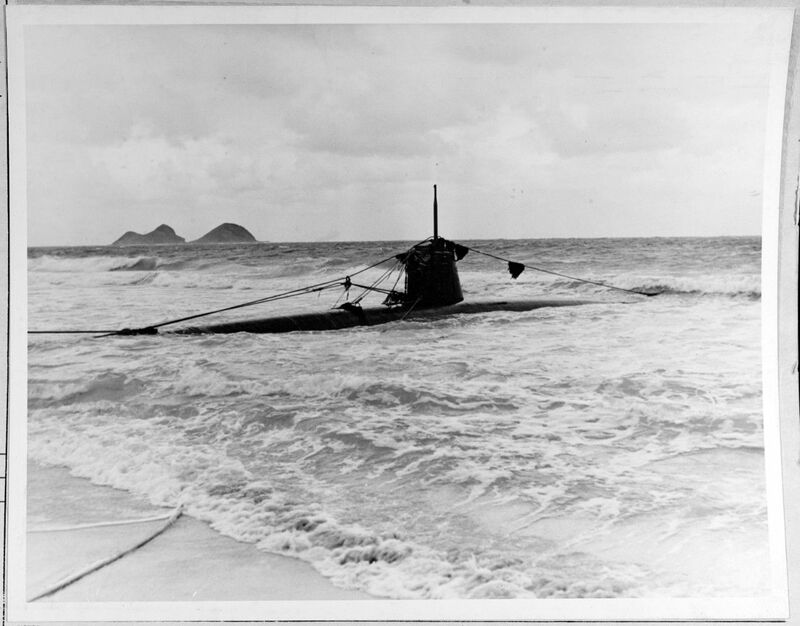 Japanese Type A midget submarine on an eastern Oahu beach, after it went aground following attempts to enter Pearl Harbor during the December 7, 1941 Japanese attack. A small boat rescues a seaman from the 31,800 ton USS West Virginia burning in the foreground. 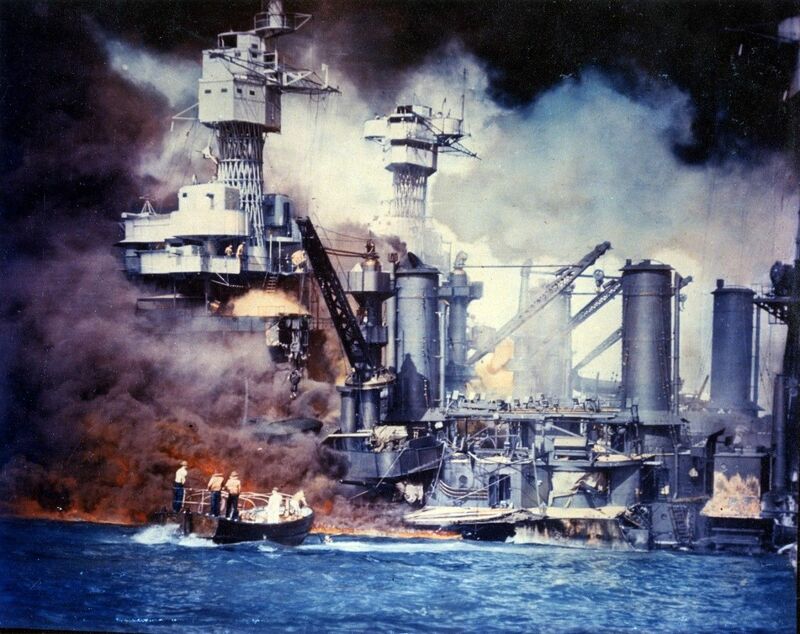 The USS West Virginia was struck by the Japanese during the attack on Pearl Harbor. 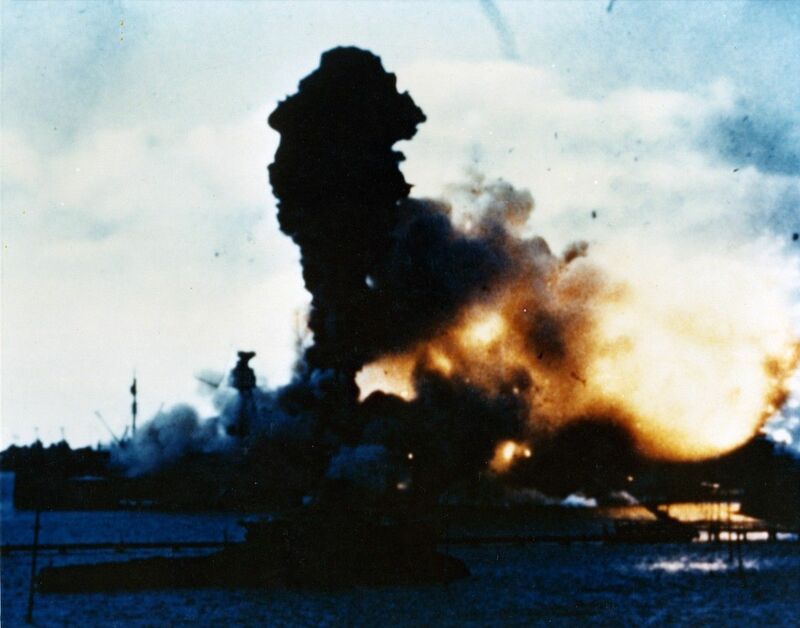 The forward magazines of USS Arizona (BB-39) explodes after she was hit by a Japanese bomb, December 7, 1941. Image clipped from a color motion picture taken from on board USS Solace (AH-5). USS Tern (AM-31) fighting fires aboard the sunken USS West Virginia (BB-48), on December 7, 1941, immediately after the Japanese raid on Pearl Harbor. Battleships West Virginia (BB-48) (sunken at left) and Tennessee (BB-43) shrouded in smoke following the Japanese air raid on Pearl Harbor. 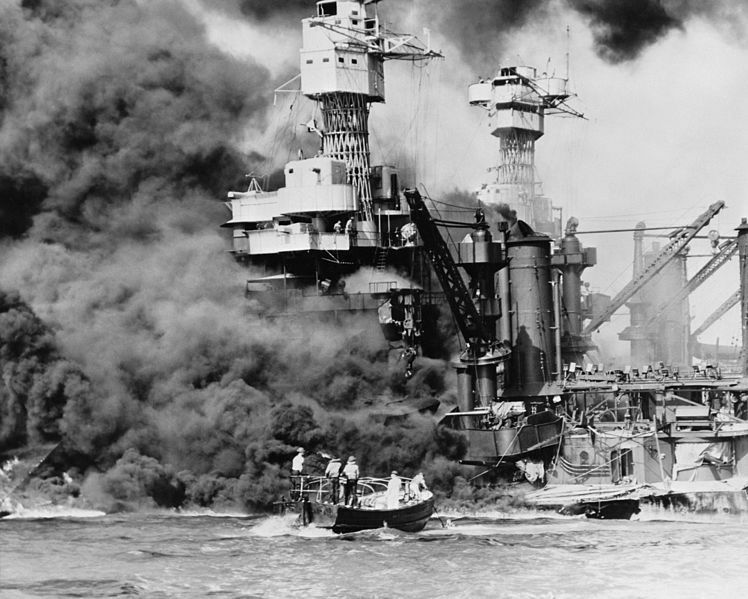 Small craft standing by West Virginia (BB-48) as burning oil drifts past the sunken battleship, shortly after the end of the Japanese air raid on Pearl Harbor.